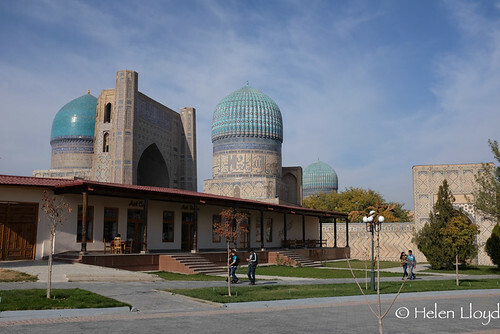 Samarkand was founded around 700BC by the Sogdians. 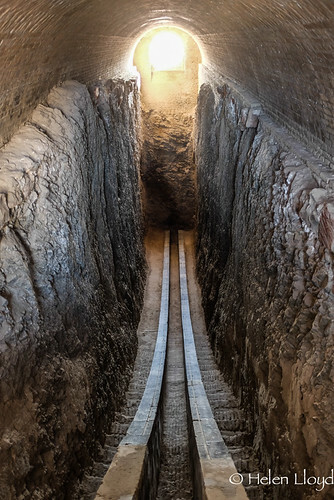 It became one of the greatest cities in the world at the time due to it’s central location on the Silk Road, connecting China with the East. Later it became a centre of learning for Islam. In 1220, Chinggis Khan swept through and destroyed much of the city. Seems his Mongol horde destroyed most cities they came upon on their gallop across the Steppe towards Europe. 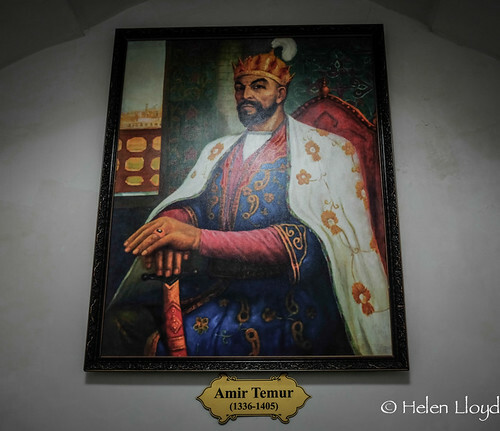 150 years later Amir Timur made the city his capital and glorious buildings arose out of the dust. 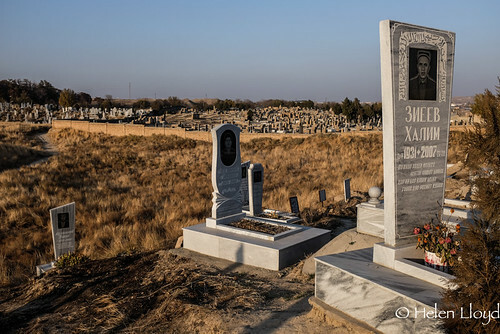 Mostly mosques and mausoleums. And it is the remains of these buildings that have been restored to full health and make up the centre of the city today. More recently, in 1868, the Russians took control of the city from the Emir of Bukhara. And began the construction of the new Russian city, which now spreads out to the west of the historic centre. So as a tourist, I spent my time in the historic centre wandering around the Registan and the Bibi Khanym Mosque and getting lost in the Jewish Old Quarter. 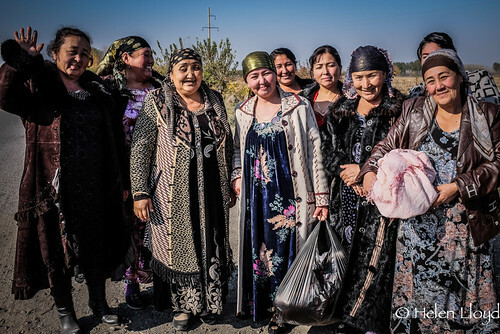 It’s not where the majority of the Uzbek locals live and is a little like a massive museum. But it’s beautiful nonetheless and very quiet – especially considering it’s the second largest city in the country. 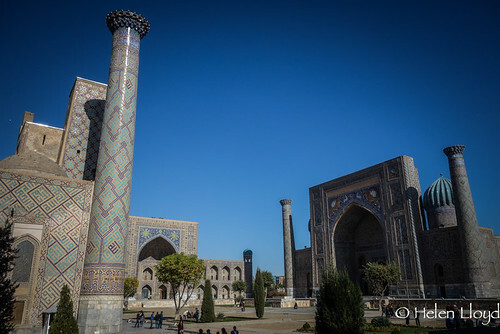 If you missed the blog and photos of the ride to Samarkand, it’s here.